Box won’t report its earnings until August 31, putting the fourth real installment of our continuing conversation on the shifting value of annual recurring revenue (ARR) a few weeks in the future. Today, however, we’re taking an interim glance at a trend that may shape our expectations of what Box’s report will say. Keep in mind that the enterprise storage firm is a useful business case as it embodies the mid-to-late ’00s SaaS model of big raises, quick burn, and ARR growth1. As such, it kicks off useful metrics for measuring analogous private companies with similar operational strategies. 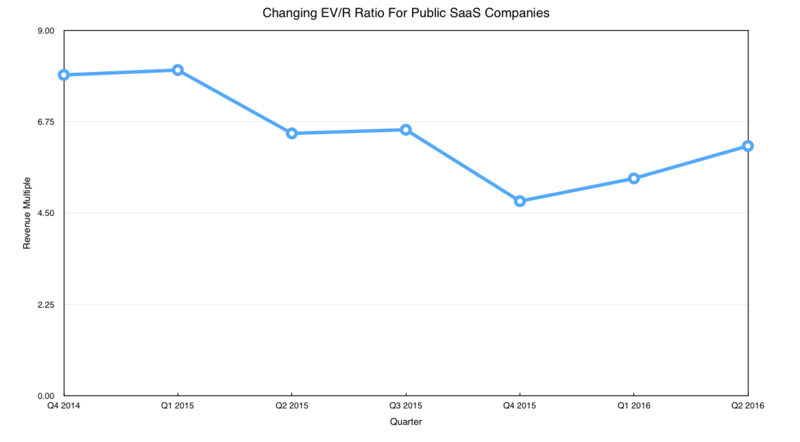 The fine folks over at DAN Fund compiled a list of public SaaS companies through the second quarter, generating their averaged enterprise-value-to-revenue multiple. As usual, the higher the calculated x, the more strongly the market values recurring revenue. 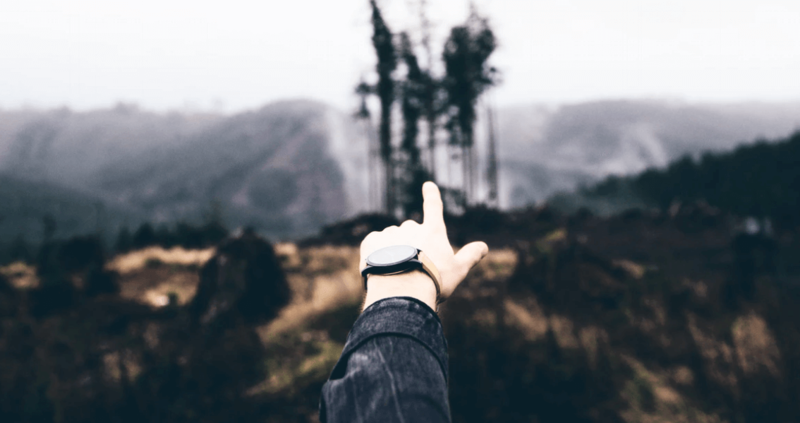 Quickly, what is enterprise value? How is it different from market capitalization? Fine questions. Enterprise value does a better job unveiling what it might cost to acquire a company by deducting cash from its market cap and adding debts. If you buy a company with cash that has cash, it’s likely a wash; but you are also buying the debt, so you add that to the total cost figure. So we are taking a slightly different tack today than comparing ARR to market capitalization as we have before. As such, we won’t correlate this dataset to preceding posts; today’s graph is directional, not absolute, and alone. Taking DAN Fund’s analysis, and graphing the enterprise value-revenue multiple of the assorted SaaS companies gives us a very rough picture of the changing sentiment of public investors. If the chart goes up, their sentiment is going up regarding future growth, and resulting cashflows. If the chart goes down, the opposite. If you wanted a very simple explanation why the IPO markets iced over, the fall from an EV/R ratio of around 8 to under 5 is a pretty good reason why; it’s not the whole story, of course, but it’s part of it. It hasn’t been a bad earnings season, especially among the larger tech shops. There were misses, of course—hello, Netflix—but things were pretty good given the sheer amount of global uncertainty that is our now normal-feeling daily atmosphere. It isn’t surprising that investors are slowly rewarding public software companies. But don’t pop the La Croix yet. The second quarter’s EV/R ratio is still 23.32 percent below its first quarter 2015 peak. Box was founded in 2005. That was also, incidentally, the year I became legally able to drive.